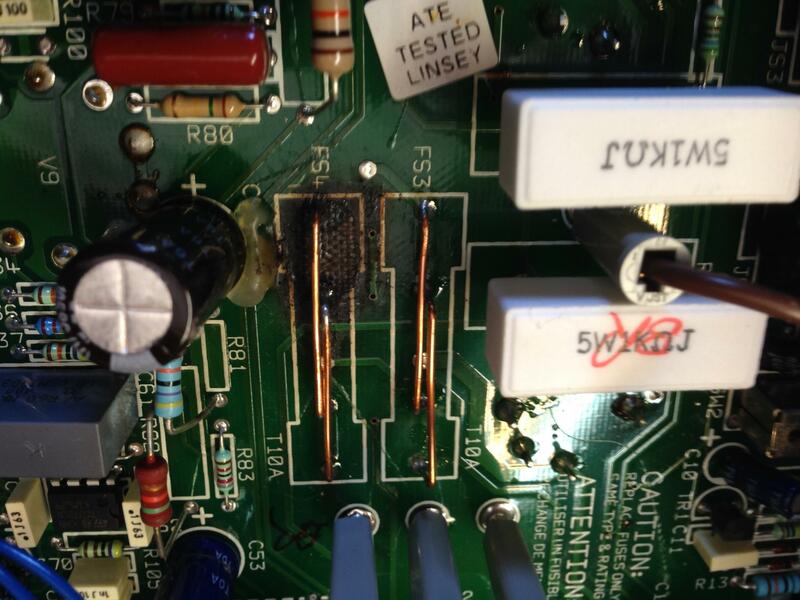 just got the word today from the independent repair dude that the logic board on the jvm 410h i brought in is literally burned out (see pic). he says it's about a 4" piece of board that will need to be removed and replaced with a new one. gotta take it to an authorized service center about 30 miles away, and i have illusions: this will not be cheap. that said, anybody have any idea what i can expect to pay? i figure an hour or two in labor, but a logic board? i guess it controls the channel switching and whatnot. so i guess that pic isn't the logic board. it's a spot where i had to have a shop perform a mod of removing two fuses per marshall's spec several years back. still need the logic board. Write to Marshall. It's worth a shot. Yes, it is. Also posted on the jvm board. Didn't some wayward shortscaler help found that place? still need to get back to the shop i dropped it off at. it's kind of a consignment deal the tech has with a few places around the county. i'll have to drive downtown to a shop to get it fixed unfortunately, which also means taking a day off work to do it. Logic board? 4 inch piece that will have to be replaced?? Whut??? I am clearly in the dark when it comes to the JVM410, nothing like the JTM612 or the TSL? Ah, Front Panel Board 2? JVM-410-61-02? The thing with switches and reverb controls that drives lights and relays? I am hoping to have time to pick up the amp from the shop on Friday and maybe drop it off to the authorized service dudes on Saturday (luckily, they are open).